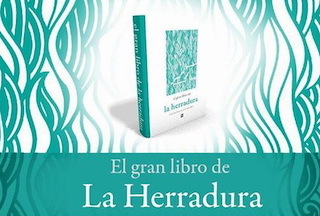 Yesterday at 22.00h saw the presentation of a book in La Herradura castle, about La Herradura itself, entitled, El Gran Libro de La Herradura. The book is the work of numerous writers, both locals, like Tomás Hernández, and yearly visitors, like Andrés Cárdenas, who is a columnist for the Ideal newspaper. Here is a complete list of contributors: Andrés Cárdenas, Tomás Hernández, Salvador Compán, Joaquina Cabello, Álvaro Salvador, Almudena Rubio, Reinaldo Jiménez, Antonio Jara, Juanfra Cabrera, Felipe Granados, Javier Bruque. Pepa Merlo, Fran Ortiz Fuentes, Paco Alaminos, Cristóbal Rivas, Serafín Mesa and Rafael Cuartero. At the same time as the book presentation – it was a double event – a photo exhibition, entitled Recuerdos de Pasado was inaugurated in the castle which will run until the 31st. Viewing times 10.30h to 13.30h and 17.30h to 20.30h. This entry was posted on Friday, August 11th, 2017 at 1:27 am	and is filed under La Herradura. You can follow any responses to this entry through the RSS 2.0 feed.